After 5 years of exhaustive research and development, from the isolated and pure eco-system in the tropics of Fiji, Aqua Pacific has finally sourced and captured the smoothest and purest water on Earth. 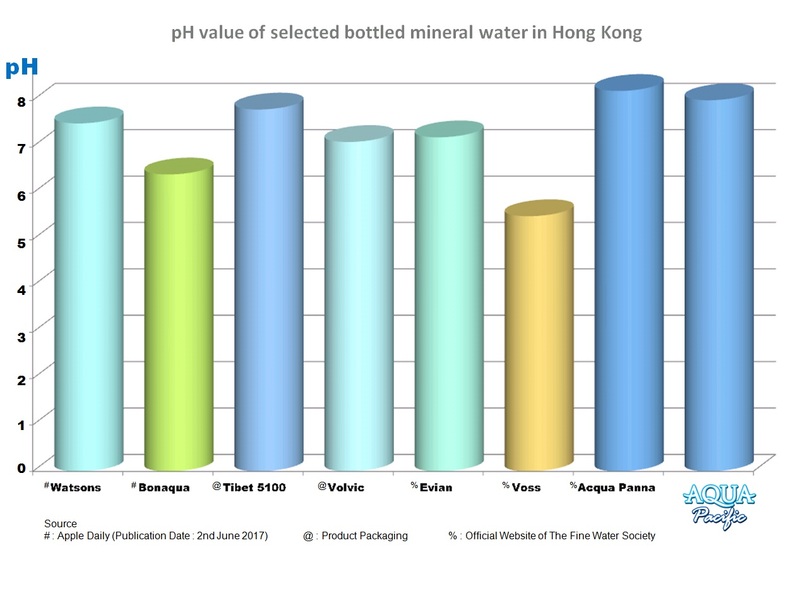 The water has absorbed the volcanic filtration together with the unique blend of minerals, and Aqua Pacific is naturally alkaline at pH 8. By neutralizing the acid level of your digestive system, Aqua Pacific can help reduce acid reflux symptoms. Aqua Pacific possesses negative oxidation-reduction potential, which offers disinfectant benefits, protecting you from harmful microorganisms. 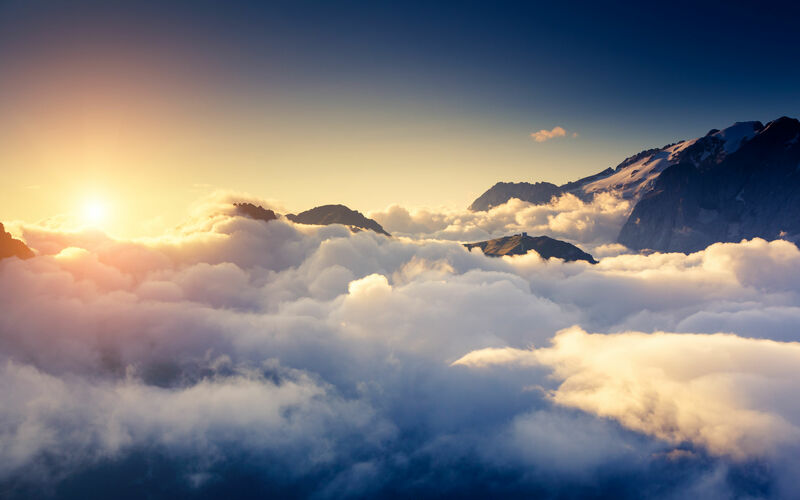 Glycation is happened when the sugar from our diet attaches to protein or lipid fats without being processed by our enzymes, which will then form Advanced Glycation Endproducts (AGEs) in our body. AGEs are associated with many diseases, such as diabetes. Aqua Pacific’s alkaline nature lowers glycation levels, hence reducing the risk of developing diabetes. Aqua Pacific will remove acidic waste in our body. 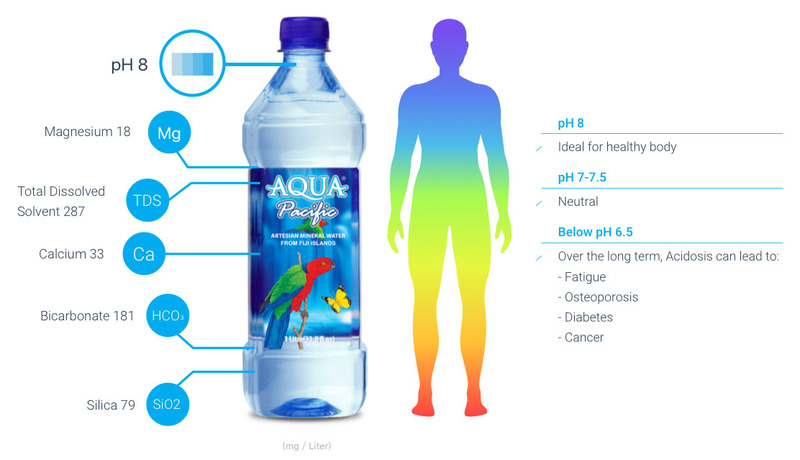 Since alkaline water is antioxidant, Aqua Pacific also strengthens our Immune System and balances pH level of our body. Intense exercise spurs human body and produces more hydrogen ions. Thus, acidity increases and fatigue sets in. Drinking alkaline water might enhance the body’s buffering capacity, neutralize the acidity, thus improving our performance. The minerals in Aqua Pacific (calcium, magnesium and potassium) decrease cardio-respiratory stress and blood lactate responses, as well as retaining more fluid in the cardiovascular system. Aqua Pacific’s molecules form micro clusters that are more easily absorbed at the cellular levels that helps “super-hydrating” your body. © Pacific Islands Company Limited. All rights reserved.